In recognition of ATREE’s leadership in the fields of biodiversity and sustainable development in India, ATREE was requested to organize a visit of the 2017-2019 batch of Indian Forest Service (IFS) probationers from the Indira Gandhi National Forest Academy (IGNFA), Dehradun. 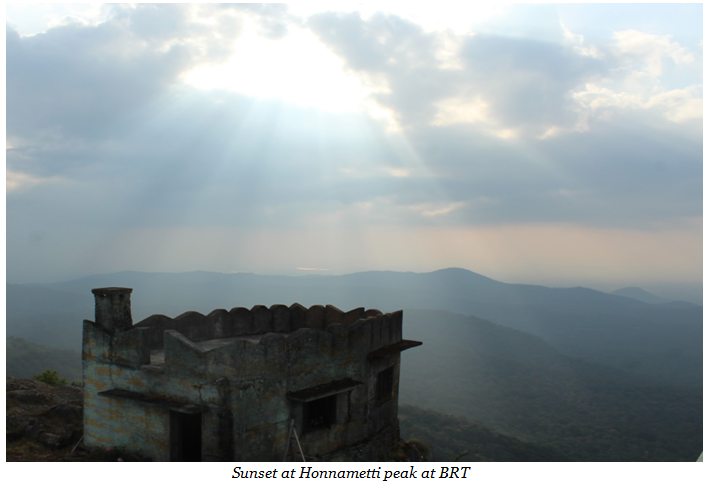 This visit, coordinated by ATREE’s Academy for Conservation Science and Sustainability Studies provided insights to the research and community outreach at the ATREE Bangalore office and the Community Conservation Centre (CCC) at Biligiri Rangaswamy Temple Tiger Reserve (BRT). 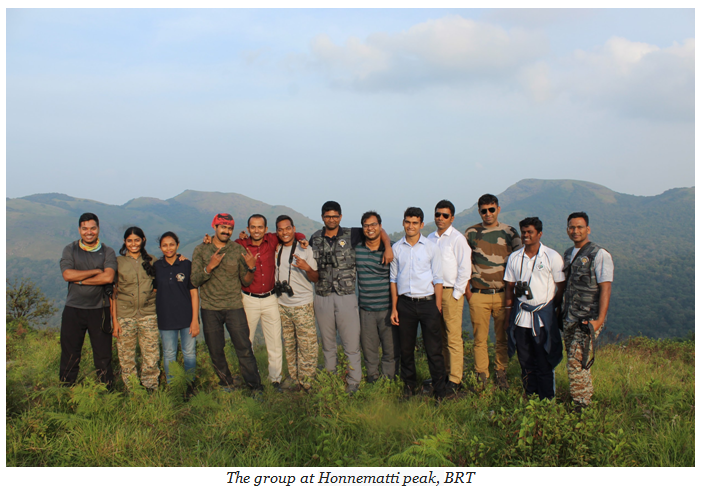 The five day programme (from October 29th to November 2nd, 2018) was designed to help these future conservation leaders get acquainted with ATREE's research and outreach work on community based conservation, sustainable use of forest resources especially non-timber forest products (NTFP), invasive species and human-wildlife conflict. During their visit, the probationers partook in several invigorating discussions where democratic governance of forest land, sustainable use of forests, monitoring mechanisms for conservation and collaboration with local communities for the same remained major themes. Additionally, on many occasions the group discussed the importance of deriving context specific solutions that catered to taking into consideration the various stakeholders of conservation. The IFS probationers visited one of ATREE’s permanent monitoring plots at BRT and discussed the importance of such plots to study the impact of invasive species and the harvest of NTFP by local communities on natural biodiversity. It is a one hectare plot and there are a total of 20 such plots in BRT in both dry deciduous forests and scrub forests. These plots are monitored once in every 2-3 years depending on the requirements of the study. 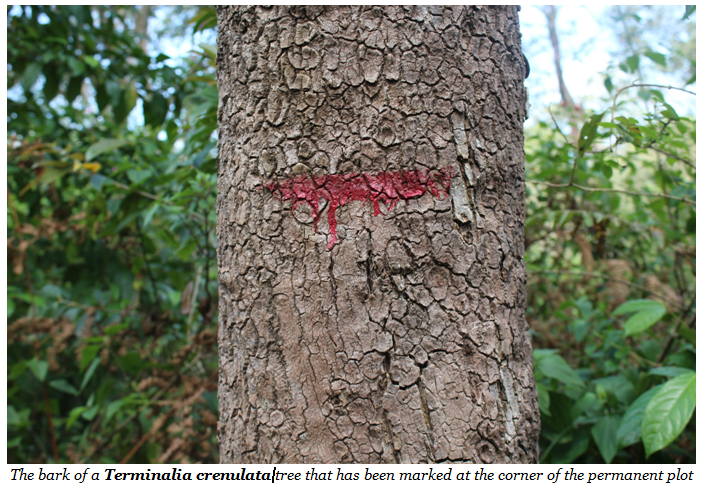 ATREE has been monitoring these sites for two decades. The IFS probationers learnt about ATREE’s long association with the Soligas in BRT and about their cultural and ecological practices. They visited ATREE’s NTFP processing unit through which it promotes enterprise based conservation. 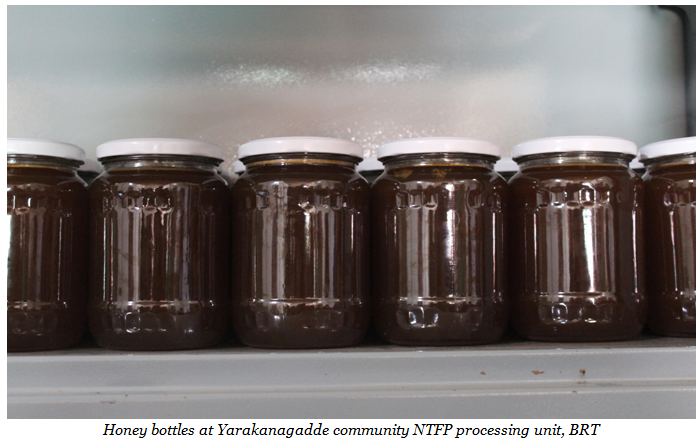 Honey is one of the NTFP products that is harvested and sold by the Soliga community and sourced from several species of flowers from deep inside the BRT tiger reserve. Extraction of NTFP remains a major source of household income for the Soligas. They have also recently started cultivating coffee in small plots as there is minimal risk of the crop being damaged by wildlife. The coffee is grown organically without using chemical fertilizers or insecticides. 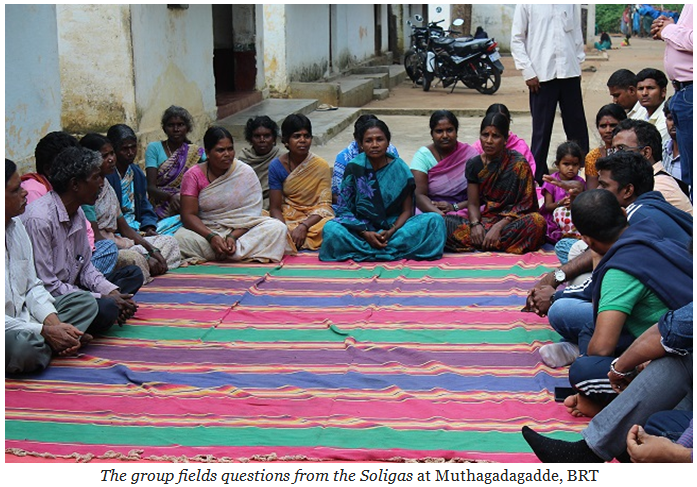 The probationers had a spirited discussion with the Soliga community during an interaction at the Muthagadagadde podu and deliberated on finding a middle ground when it came to co-existence of human beings and wildlife, the importance of community forest rights and also the threat of lantana invasion in the BRT. The Soligas were keen to know the strategies that the future constitutional guardians of forests would adopt in order to better manage them. Both the Soligas and the probationers deemed such discussions as important because of the common aim of all stakeholders in conservation. An optimistic vision of the health and sustainability of India’s natural ecosystems and resources needs inclusive forest management and conservation strategies. 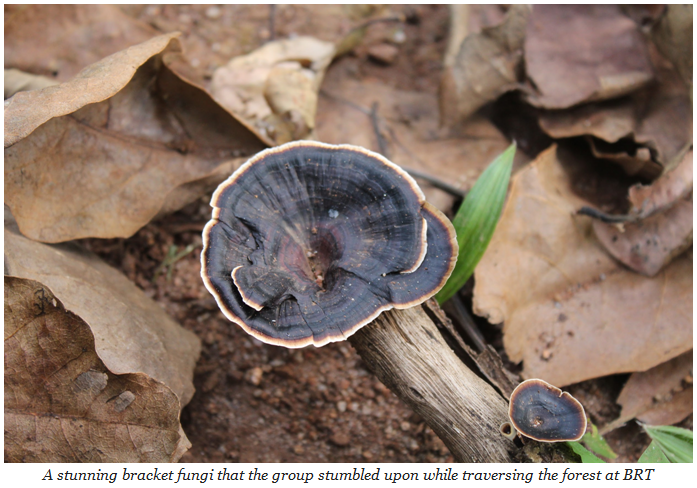 IGNFA’s NGO attachment at ATREE provides, and is expected to continue to provide, an opportunity for conversations between researchers, government and communities. Hence, such collaborations become more relevant and indispensable for the future of conservation in India.